Part 1 – What is home staging? If you’re here because you want to stage your own home prior to listing it, then we have plenty of helpful tips for you as well. The staging tips that follow will help you evaluate your home one room at a time, while making note of “hot spots” that are in need of home staging. Enjoy! 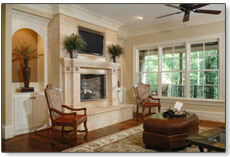 It’s important to realize that preparing a home for sale and staging a home is not always the same thing. For example, as part of your pre-sale preparations, you might go through the home to make small repairs where needed. This is an essential step in preparing your home for the market, but it’s not the same as home staging. The goal of home staging then is to improve the home’s appearance in the eyes of potential buyers, with the ultimate goal of selling the home more quickly and for the highest possible price. 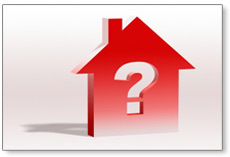 If you are selling a home, then you’ve obviously been on the other side of the process as a home buyer. Think back to your home buying experience. Try to recall the difference between the homes you thought were “just okay” and the homes that made you say “wow!” Professional home staging can help you turn your “okay” house into a “wow” house. So to sum up our introduction: You can think of home staging as presenting your house in a way that appeals to the largest possible audience, in order to ensure a quick sale for the best possible price. It bears repeating. The key to this whole thing is appealing to the largest audience — that’s what it’s all about. If your lawn is in really bad shape from years of neglect, you might have to lay down fresh sod. 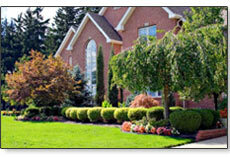 Do this at least a month before listing the home, so the new grass has some time to grow in and look nice. Here’s a video tutorialon laying sod. 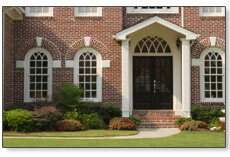 Your home’s entrance is part of its overall curb appeal, because people will see it when they pull up to the house. But the entrance is doubly important because it marks a threshold — literally and figuratively — between the outside world and what could possibly be the buyer’s new home. 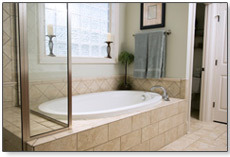 If your bathroom fixtures (handles, spigots, etc.) are outdated, replace them with sleek and modern fixtures. Stay away from brass fixtures — they bring the 1980’s to mind. Remember, when potential buyers tour your home their agents will probably be whispering “kitchens and baths” in their ears. So when staging your home to sell put some extra effort into those bathrooms. Your motto is clean, bright and luxurious. We realize that some people learn better by watching and listening, rather than reading. So we went to YouTube and rounded up some of the best home staging videos we could find. Video #1 – This one offers a room-by-room guide to staging, with plenty of before-and-after photos. It shows how small changes can make a big difference. Video #2 – This one is short but sweet. I like this video because the narrator zeros in on the core concepts of home staging, and why it’s so important for sellers. Video #3 – Another short video, but definitely worth viewing. This one offers tips on using one of the most powerful (but least expensive) staging tools at your disposal — the sun. This tutorial on professional home staging only scratches the surface. 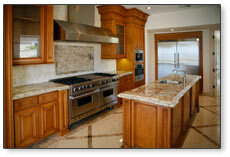 The number and scale of improvements you make to your home prior to selling are only limited by your time and budget. Just keep in mind that there is a fine line between spending enough for staging and spending too much. 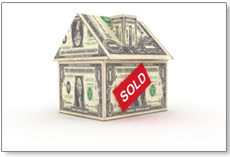 After all, the goal of home selling is to make money, not spend it. You should only spend as much on home staging as needed to achieve the desired effect. The desired effect, of course, is to sell the home quickly and for a good price. In a seller’s market, you won’t have to do as much work to sell your home. In a buyer’s market, you’ll have to do more work. The key is finding the right balance.